Happy Tuesday! I hope your week hasn’t been as crazy as mine has been (straight face)…and yes, I know, it is only Tuesday! FIRST thing is FIRST..wipe down the chair!! Get all the dust and spider webs off (YUCK)! 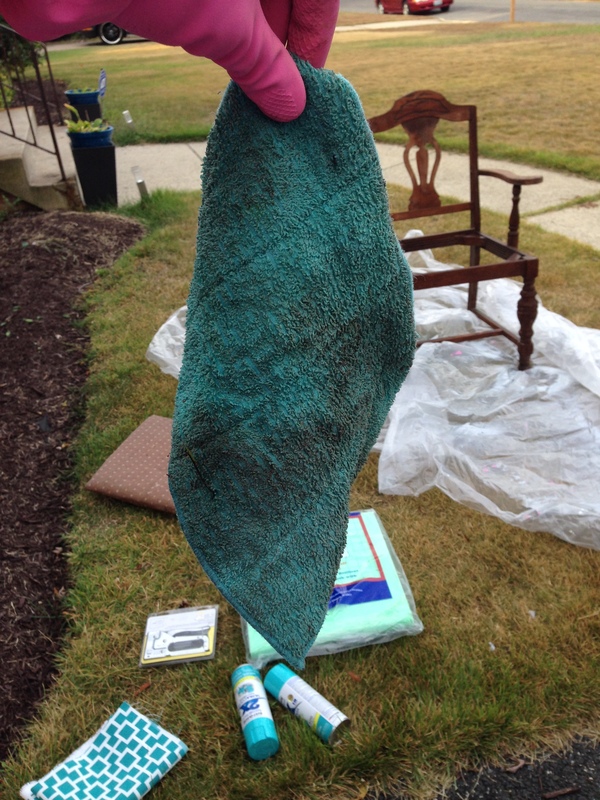 and let dry. 2. Pull off the seat. This shouldn’t be hard depending how “nailed down” it is. 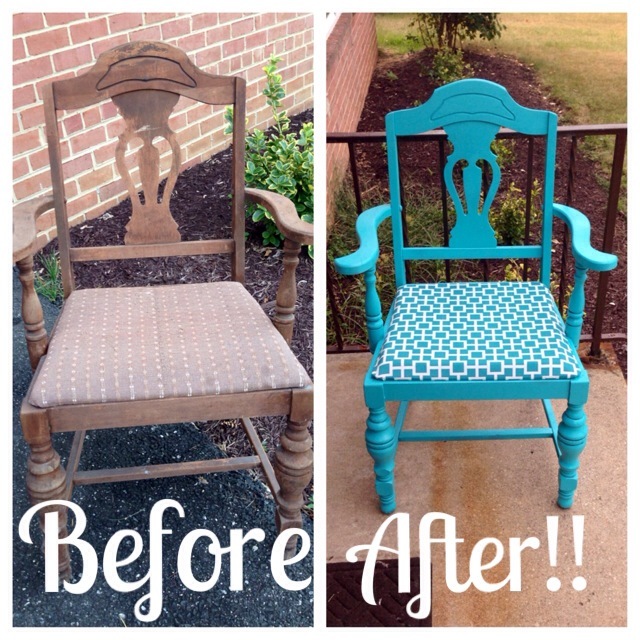 I was able to kick the seat out from under the chair–Not too hard, you don’t want to break the wood plank! 3. 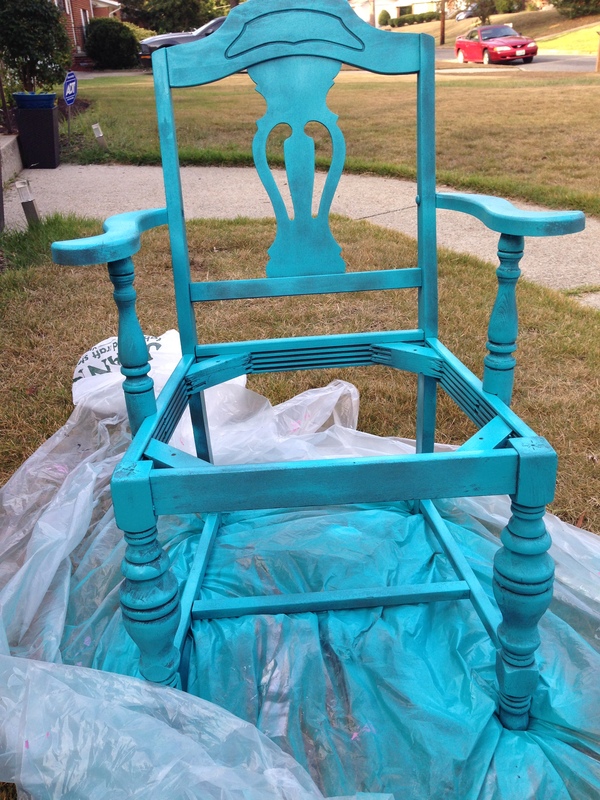 After allowing the chair to dry, go ahead and spray your first coat of paint! 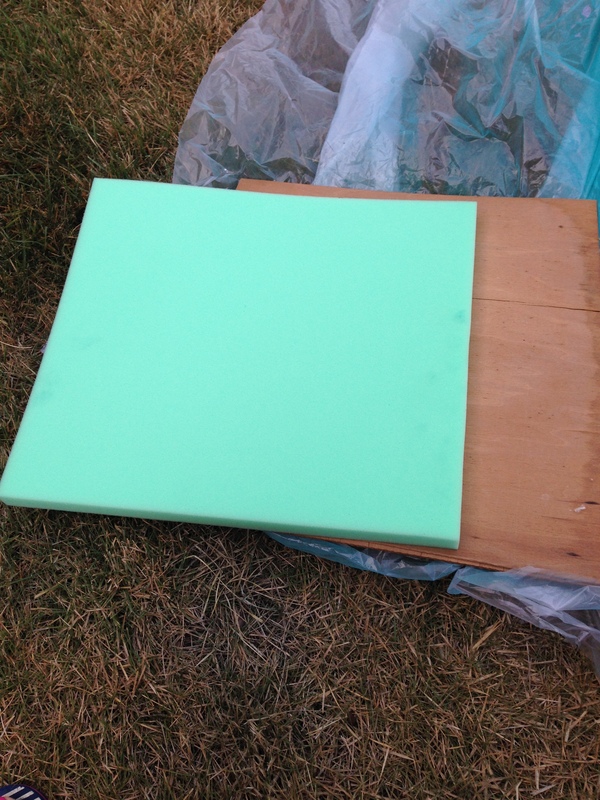 I hate sanding things, (too much work) so I made sure that my spray paint had primer in it. 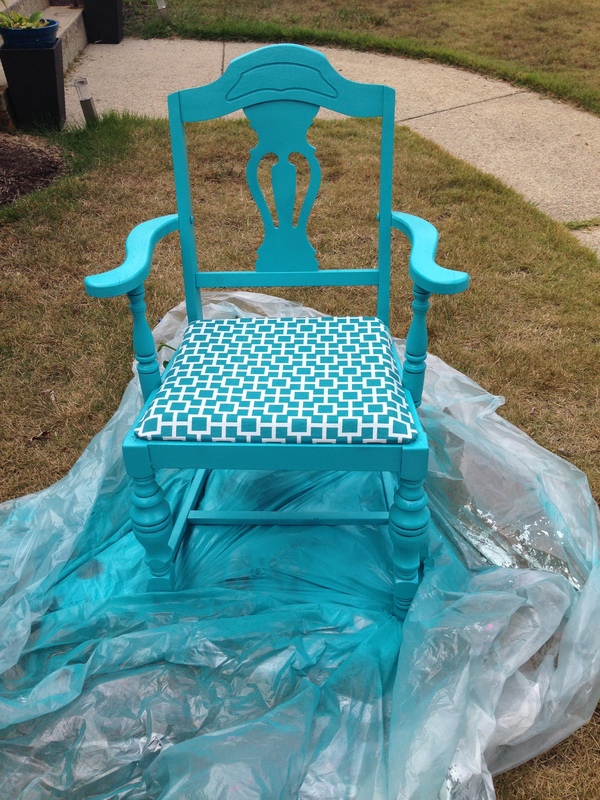 AGAIN, my spray paint had primer in it so if your spray paint does not, you will need to prime your chair first!! 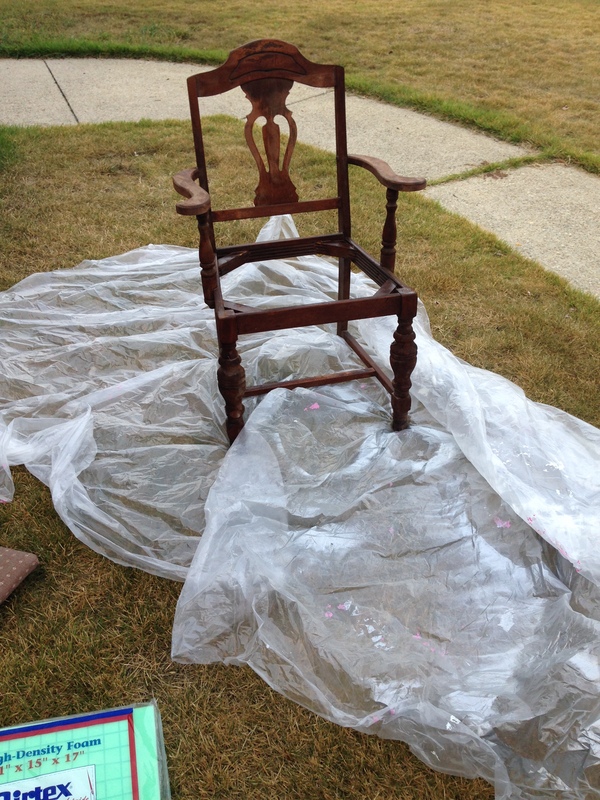 I used one can to thoroughly cover the chair, then waited about an hour to let dry. 4. 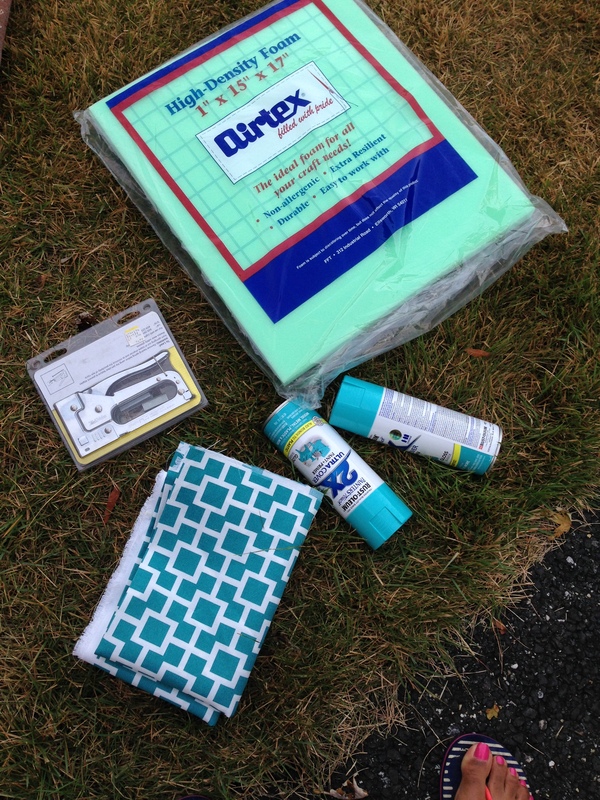 While I was waiting for my first coat of spray paint to dry, I went on to re-upholstering the seat. 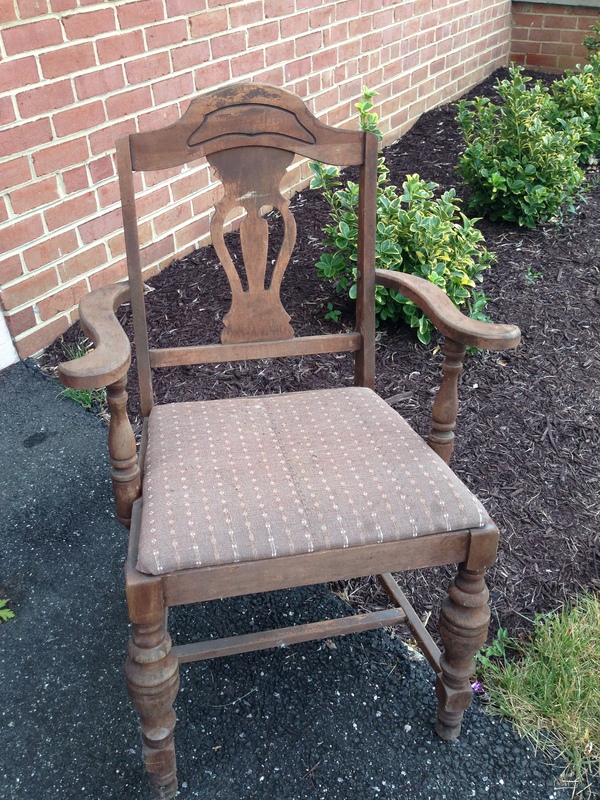 The original seat on this chair was disgusting!! 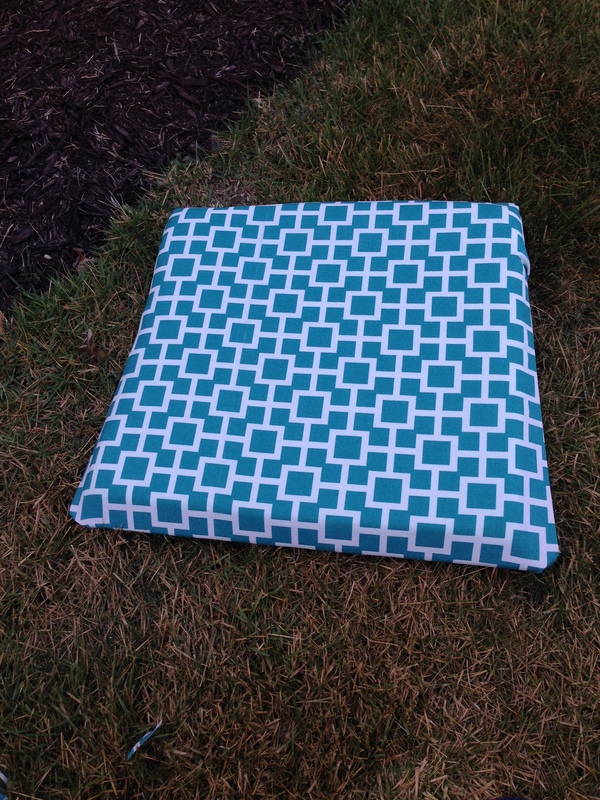 I bought one-inch high-density foam and then covered it with my new trellis fabric. 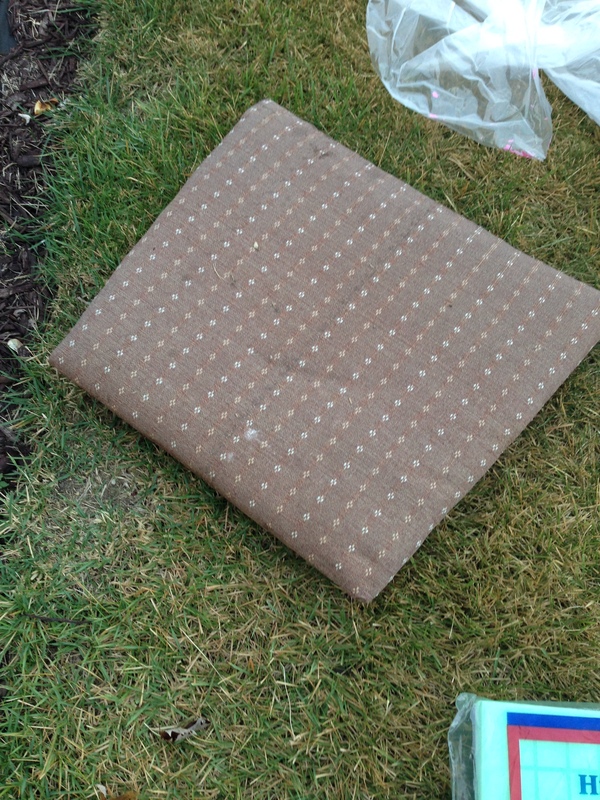 I removed the existing fabric and stuffing, laid down the foam, pulled tightly, and stapled it to the old wood board from the chair. It wasn’t as intimidating as I thought it would be!! ← Mumsy Moments: I’m ENGAGED!! Fantastic! You and your creative ways, I tell ya! Guess I have to hit up a yard sale now. 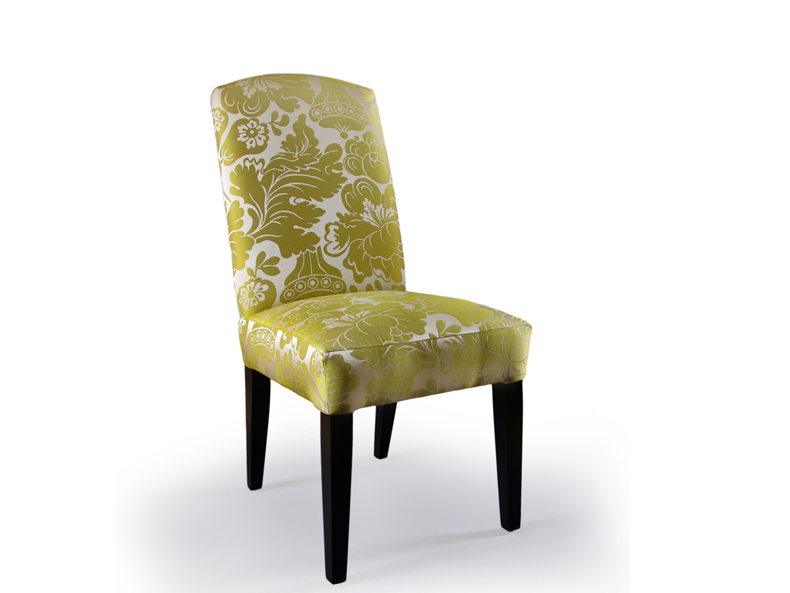 I need a chair for my office and guest rooms. Thanks for the idea! Love it! 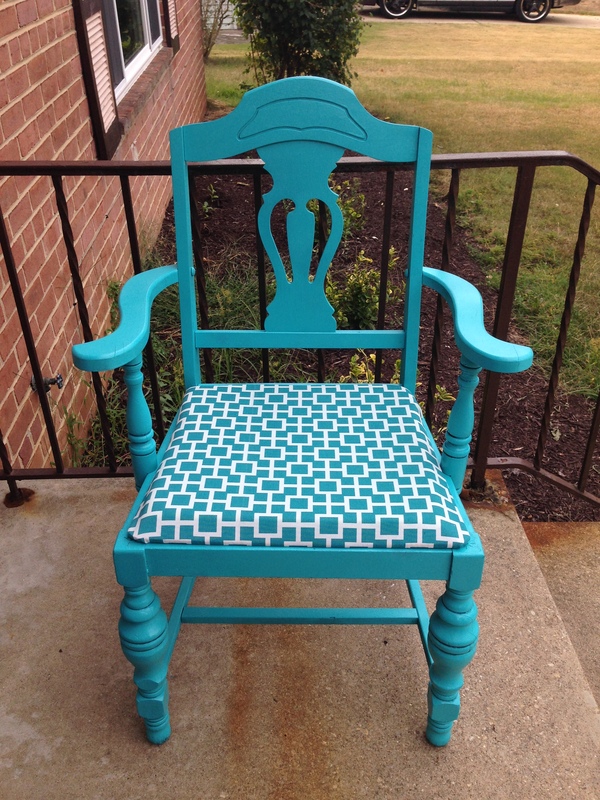 I don`t think I have ever had a brand new chair, in my childhood or current home. Drop seats are just so easy to reupholster!